"Would you leave a 10-month old home alone for 7 minutes?" "Would you leave a peacefully sleeping 10-month old home alone for 7 minutes?" 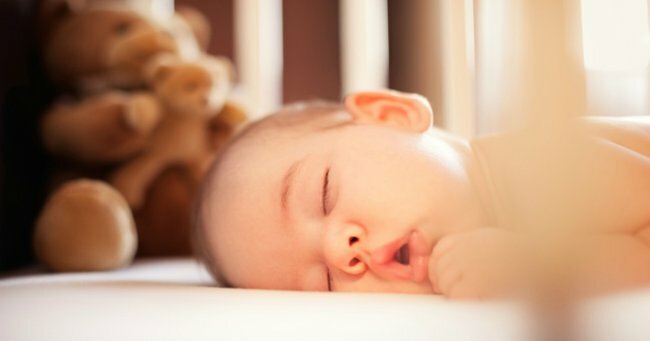 It’s the question firing up debate in parenting forums: would you leave a sleeping baby peaceful and “safe” fast asleep in her cot while you popped out for seven minutes? The shop is 50m down the road. And you just know she never wakes up this soon. Is it ever okay? Via IStock. The question was posed by a mother to the parenting forums Mumsnet. The response: More than 800 posts and a huge debate about whether its ever okay or not. She was told it was risky and dangerous..
And told to consider the what-could-go-wrongs..
She was told it was risky and dangerous.. Via IStock. Others though argued the point through what they saw as reason..
"I know a mum who regularly left her sleeping toddler in the car whilst doing the school run. This toddler almost choked on her own vomit whilst sleeping. This same mum lets her eldest (six) play out till tea time. Some people never learn." And then the confessions came out. "Yes, I would. And have done But nobody else on MN will admit to doing the same consider it a reasonable thing to do. Do your own risk assessment and then make a decision." "I have popped out to buy a pint of milk from the corner shop while my DH was asleep, so technically an adult in the house, they&apos;ve been ok - I can be there and back in three minutes flat." "I have before now trekked up our very long road to move the car half a mile from its parking spot to directly outside my house, where my DC (both under 3) were fighting watching TV. I reasoned that the risk of noncompliant DS1 running off into the road while I wrestled with nonmobile DS2 was greater than the risk of me/them dying during the walk...."
The original poster told the forum that it was to get two boxes of clothing she had ordered online and as she lived in a flat she thought it would be easier to get them while her daughter wasn’t with her so she didn’t have to lift both. She said she also wanted to get home and try them on before her baby woke up. Would you pop out just for a few mines? Via IStock. And the Mumsneters were not pleased. “Today 7 minutes. Tomorrow 15 minutes. Who knows what time limit you&apos;ll be justifying next week." In Australia there is no national law stating an age you can leave your kids alone. Each state and territory deals with the matter differently. In NSW parents are expected to make “reasonable decisions” about their children’s safety with fines up to $22,000. In Victoria parents risk a $1650 fine or up to three months’ jail for the crime of ‘leaving a child unattended’. In QLD the laws are tougher, parents in the Sunshine state risk up to ”three years’ jail for the crime of “leaving a child under 12 unattended for an ‘unreasonable” amount of time. The question is what the law will interpret as “unreasonable. Where did you go Ma? Via IStock. “At the end of the day we are all human, we all love our kids and desperately want to keep them safe. Occasionally there&apos;s an opportunity for a tiny bit of respite and excitement in a long day of selfless childcare that feels reckless but in reality has a minuscule risk... I decided to take it. I am really glad I asked the question, as there have been some interesting and intelligent replies on both sides. Over strikes the nail on the head saying things &apos;feel&apos; risky that actually aren&apos;t. Flying vs driving is a good example.